perform 3 squat jumps then drop bag and sprint across 10m. walk to end then return by double leg broad jumps from line to line- challenge is to try and decrease number of jumps between lines. 4 sets . 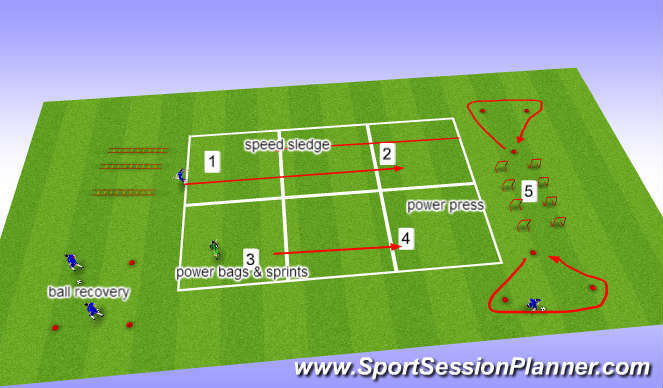 after each set 120sec ball recovery increase mass of power bag - if no power bag then use weighted vest. try to get a rhythem going.